Gluttony: derived from the Latin gluttire meaning to gulp down or swallow, means over-indulgence and over-consumption offood, drink, or wealth items to the point of extravagance or waste. I am still recovering from last night as I write this. We went out for dinner and dessert last night and while we had a great time with great company, I think more than a few of us over indulged and were left feeling worse for wear. I literally couldn't breathe by the time I got home. Note for next time, it's dinner OR dessert, certainly not both. 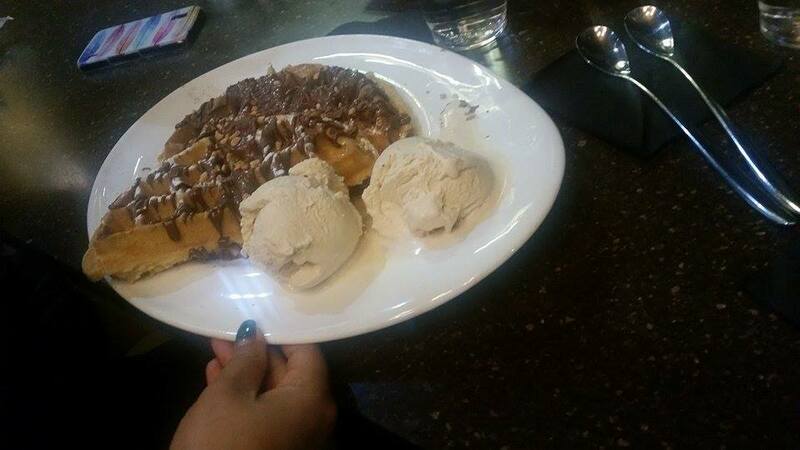 My dessert: Waffles with Nutella drizzle, chopped hazelnuts and hazelnut ice cream. Hazelnut ice cream is the best dairy ice cream. Ever! 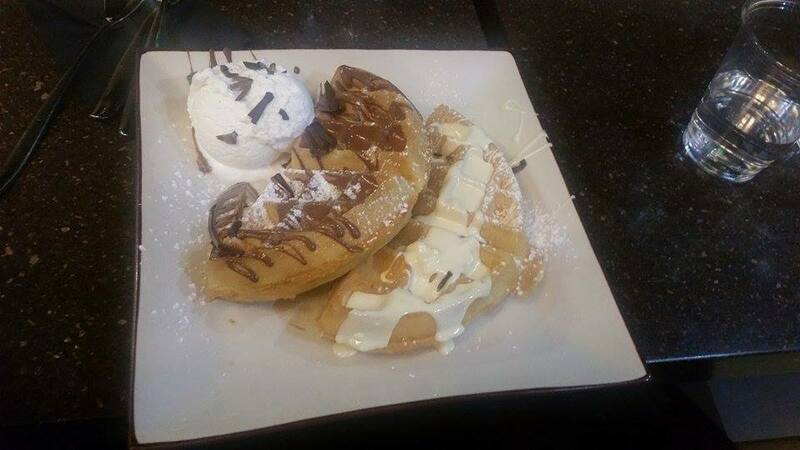 Waffles with coconut ice cream and white and brown chocolate sauce. Waffles with chocolate sauce, whipped cream and strawberries. 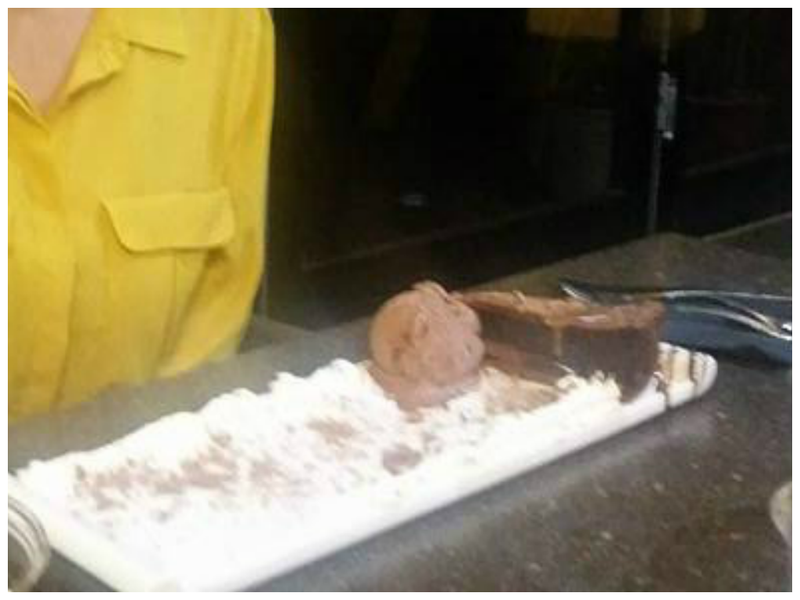 a blurry one but it was so pretty in person: Brownie with chocolate ice cream and whipped cream. 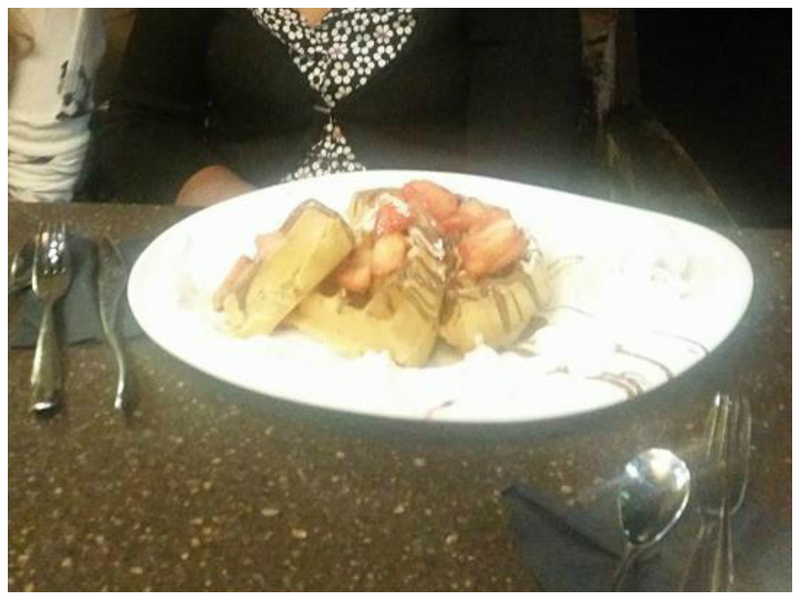 Waffles and ice cream was certainly one of the most popular option, and for good reason! They were just perfect and fluffy inside. The ice cream is gelato so no cheapie Wall's ice-cream here. It would have probably been best if we shared out dessert than opting for one each but noooo. At the very least they tasted amazing. Who cares that I'm still having problems breathing?! 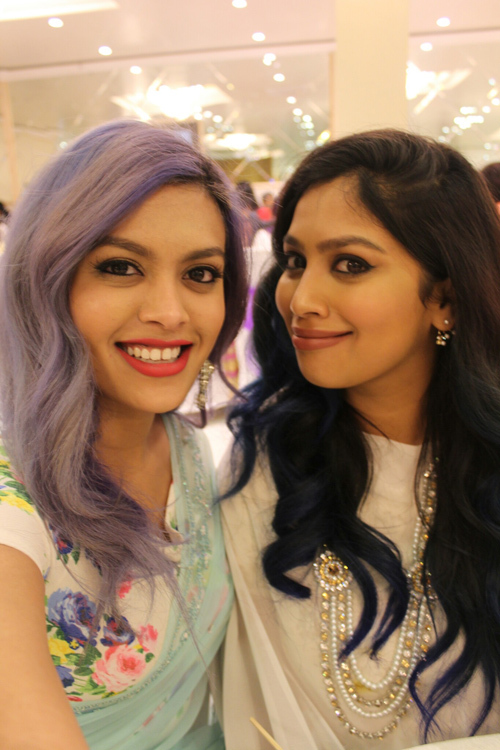 Have you indulged lately and regretted it? Which one of these would you have? 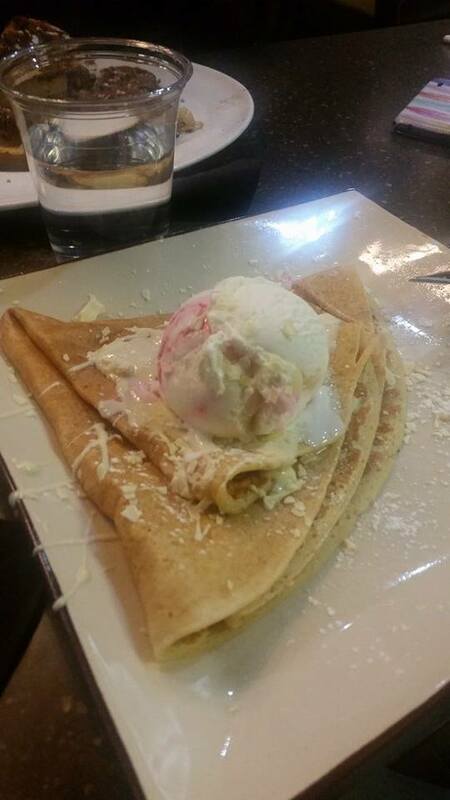 What is your favourite eating out dessert? indulged - yes. regretted - yes. I came back from a vacation and have simply let go! Before going for the vacation i was strictly on salads for lunch, after coming back I don't even feel like looking at a salad bar!